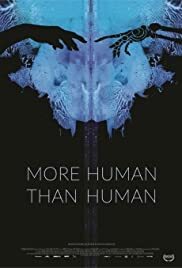 Director: Tommy Pallotta, Femke WoltingWriters: Tommy Pallotta, Femke WoltingStars: Nick Bostrom, Justine Cassell, Albert ChiSummary: More Human Than Human explores the promises and the complex role of Artificial Intelligence in today's world and the consequences of those promises becoming reality. In this feature length documentary the filmmaker attempts to build an intelligent robot to see if it can replace him as the film director. Will our creation, infinitely smarter, interconnected and possibly self-aware, render humanity obsolete?